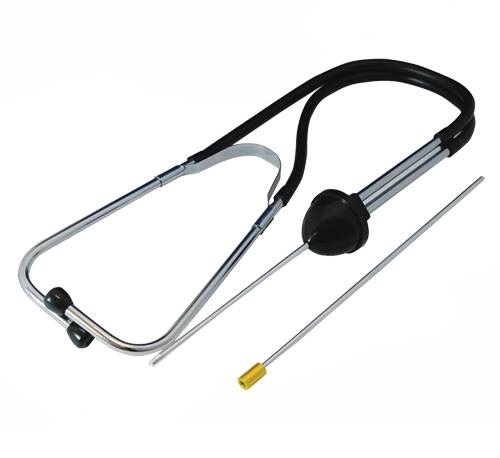 Technical stetoscope to listen noises in engine and its mechanics. 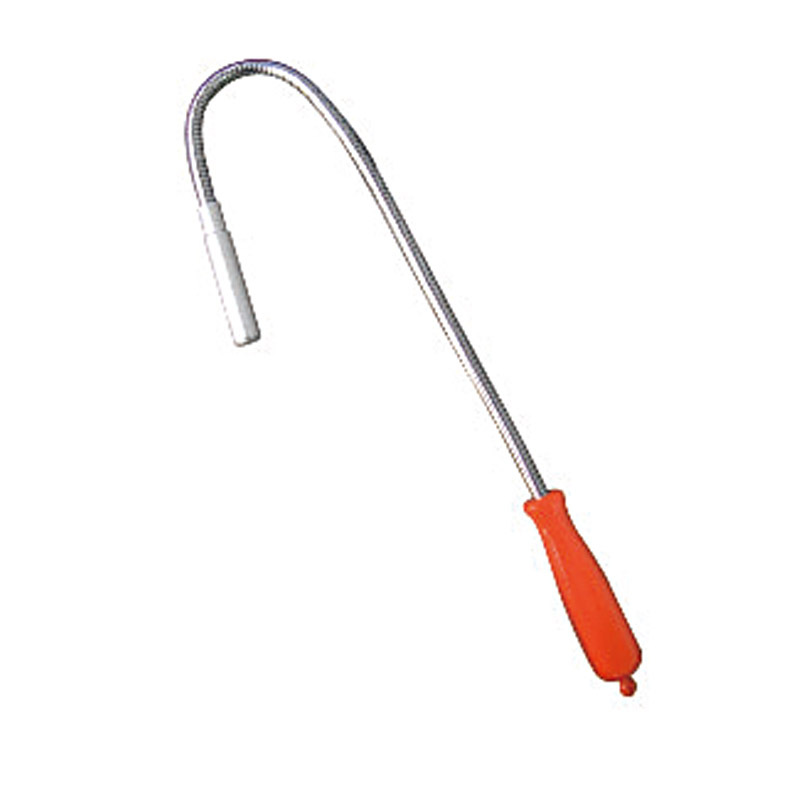 Magnetic capture tool 475 mm/ max load 1.6 kg, can be used for little lost metallic parts removing from engine compartment and other places with partial access. 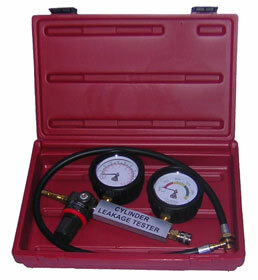 Engine cylinder leakage tester with advanced functions. Tube with threaded end М14x1,25 and М18x1,5, measuring range/adjusting of pression, 0-7 Atm. 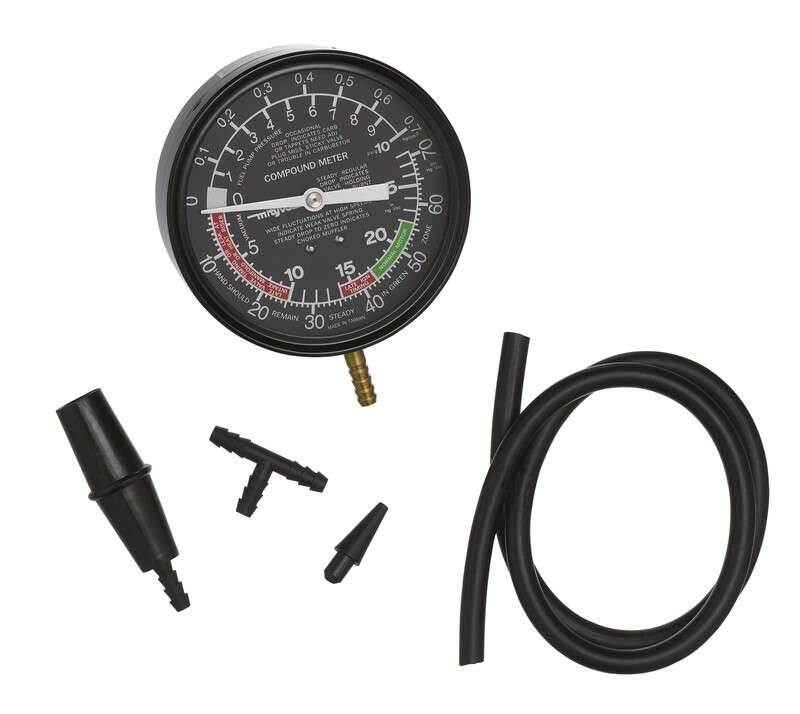 Fuel/injection system pressure tester, manometer 0-7 bar (0-100 psi). Adapters and tubes included: Brass 1/8”-27NPTX1/4”-18NPT; Brass 1/4” Barbed X1/4”-18NPT; Aluminium 1/4”&38/”Barbed X1/8” -24NPT; Hose rubber 1/4” X2,5”(L); Hose rubber 3/8” X3.0”(L); 3 rubber hoses. 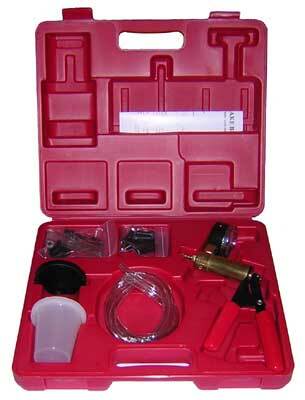 Vacuum tester with manual pump with gauge for vakuum actuator testing and air bleeding from fuel and other systems. 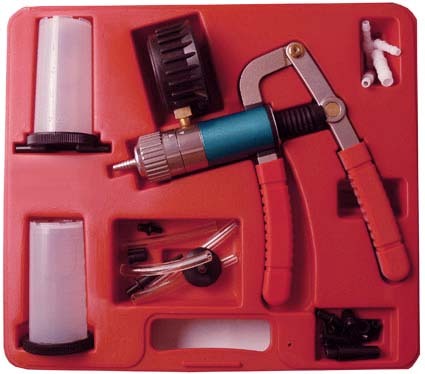 Vacuum/pressure tester with manual pump with advanced functions. For vacuum/pressure actuator, oil pressure sensors, etc. testing. Measuring/creating vacuum 0-0.8 Atm (little gauge); pressure 0-3 Atm (big gauge). 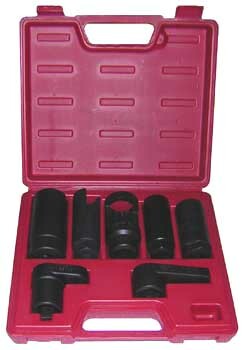 Advanced set of adapters, ruber housing. 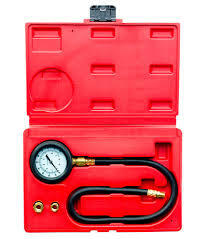 Cylinder compression pressure tester for gasoline engines with ruber and threaded end (with flexible tube), 0-20 bar. 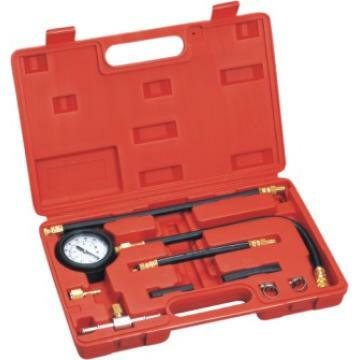 Cylinder pressure tester for diesel engines (in two variants: for cars (var. A) or for trucks (var. B) with special adapters. Included all possible adapters. Price-quality ratio. Head set for lambda and diferent sender removing, 7 positions. Includedt: key head for lambda sens., vacuum sw., PVS, TVS - 29x90 mm., for key 1/2" / 29x90 mm., for 3/8" and 7/8"/80 mm. / for 3/8" and 7/8" / 22 mm., for 1/2" with ext. / 7/8" (22 mm. ), for 3/8" with ext. / for inject. - 28x85 mm., for key 1/2" / for oil pres.send. - 1-1/16"x74 mm., for keys 3/8" and 7/8". 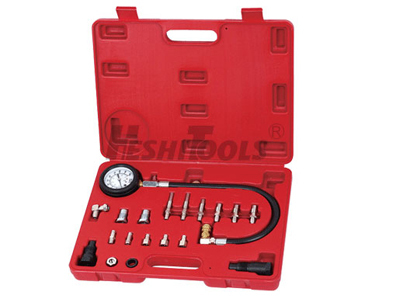 Vacuum/pressure gauge-tester for inteake leak and fuel pump checking, valve, intake leakage, etc. testing, included various adapters 3 pcs. 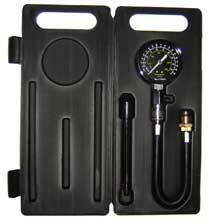 Oil pressure tester with adapters 1/8'' -27 NPT and 1/4’’ -NPT and 3/8’’ -NPT , gauge (0-7 bar, 0-100 psi). 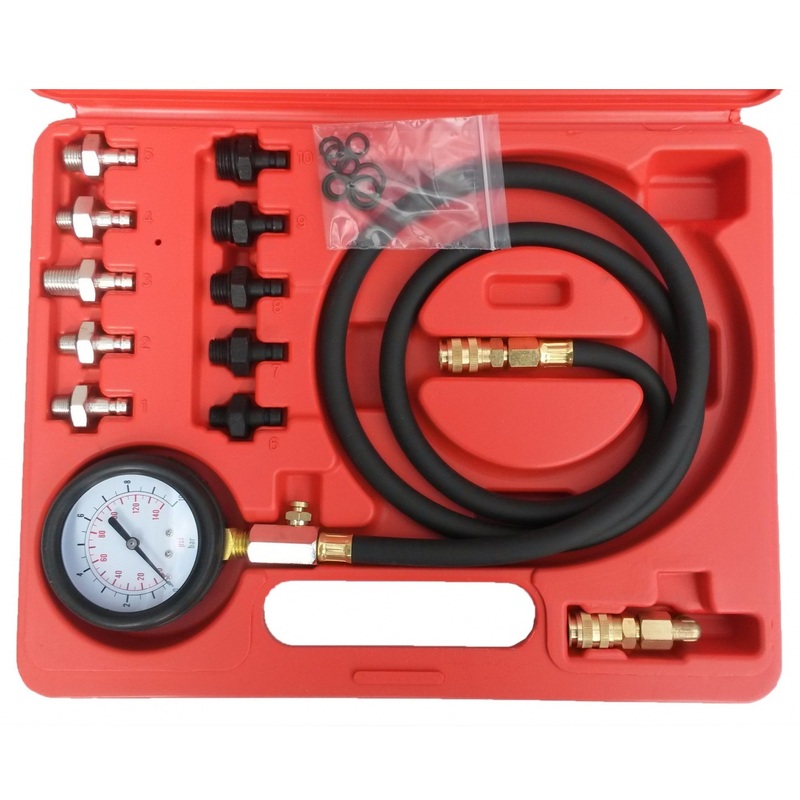 Oil pressure tester (0-10 bar, 0-140 psi) with adapters М10Х1.0, М12Х1.5, М14Х1.5, М16Х1.5, М18Х1.5, R1/8 DIN 2999, 1/8-27 NPT, 1/4-18 NPT, 3/8-20 UNF, 1/2-20 UNF and angle adapter.